The Book of Mormon records the precise day the Nephites witnessed the prophesied sign of Christ’s death (3 Nephi 8:5).1 This exceptional diligence on the part of Nephite record-keepers may help resolve at least two questions that New Testament scholars debate regarding the timing of Christ’s death. While the New Testament data does not decisively favor Thursday, the Book of Mormon adds some important information. Nephite prophets predicted that there would be three days of darkness coinciding with the time of Christ’s death until his resurrection (1 Nephi 19:10; Helaman 14:20–27). Nephite historians documented the fulfillment of this prophecy (3 Nephi 8:19–23; 10:9). Chart by Book of Mormon Central. 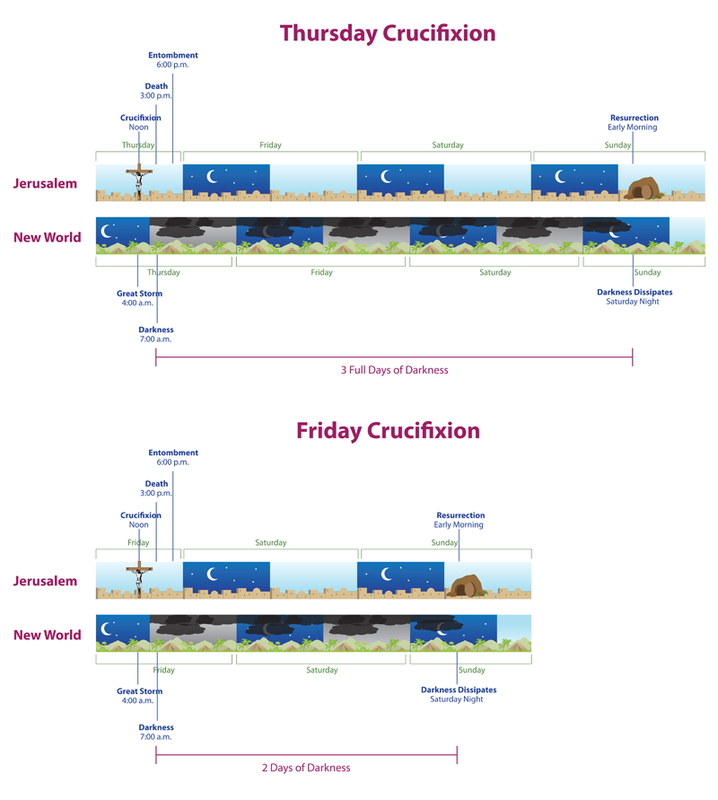 Jerusalem and New World Timelines reflect an eight hour time difference, and the Jewish tradition of beginning a new day at sunset. Openness and flexibility to new evidence and alternative interpretations should always be maintained, but the dating strongly supported by the Book of Mormon deserves serious consideration by all Latter-day Saints. If both the day and the year are correct, then the Savior died on Thursday, April 6, AD 30.17 This gives profound significance to the timing of the Restoration of His church, exactly 1800 years later. He would show Himself to His disciples in Jerusalem, and then later that year, He appeared in glory to the Nephites as well (3 Nephi 11). Together, the Bible and the Book of Mormon forcefully testify that Jesus Christ lives! Modern prophets continue to testify “that Jesus is the Living Christ, the immortal Son of God.”20 No truth could be more beautiful, nor of greater eternal significance than this. Latter-day Saints should appreciate and cherish these added scriptural and prophetic witnesses of the Risen Lord. Jeffrey R. Chadwick, “Dating the Death of Jesus Christ,” BYU Studies 54, no. 4 (2015): 135–191. Lincoln H. Blumell and Thomas A. Wayment, “When was Jesus Born? A Response to a Recent Proposal,” BYU Studies 51, no. 3 (2012): 64–70. David B. Cummings, “Three Days and Three Nights: Reassessing Jesus’s Entombment,” Journal of Book of Mormon Studies 16, no. 1 (2007): 56–73, 86. 1.Cf. 1 Nephi 12:1–3, 5; 19:10–11; Helaman 14:20–27. For details on the prophecy and its fulfillment, see Book of Mormon Central, “Why Did Samuel Make Such Chronologically Precise Prophecies? (Helaman 13:5),” KnoWhy 184 (September 9, 2016); Book of Mormon Central, “What Caused the Darkness and Destruction in the 34th Year? (3 Nephi 8:20),” KnoWhy 197 (September 28, 2016). 2.See Matthew 26–27; Mark 14–15; Luke 22–23; John 12–19; Jeffrey R. Chadwick, “Dating the Death of Jesus Christ,” BYU Studies 54, no. 4 (2015): 136–139. According to most scholars, the Synoptic Gospels (Matthew, Mark, Luke) differ with John on whether it was the day before Passover (14th of Nisan) or the day of Passover (15th of Nisan). See Lincoln H. Blumell and Thomas A. Wayment, “When was Jesus Born? A Response to a Recent Proposal,” BYU Studies 51, no. 3 (2012): 65; Richard Neitzel Holzaphel, Eric D. Huntsman, and Thomas A. Wayment, Jesus Christ and the World of the New Testament (Salt Lake City, UT: Deseret Book, 2006), 137–138; Thomas A. Wayment, “The Birth and Death Dates of Jesus Christ,” in The Life and Teachings of Jesus Christ, 3 vols., ed. Richard Neitzel Holzapfel and Thomas A. Wayment (Salt Lake City, UT: Deseret Book, 2005), 1:391–392; Stanley E. Porter, “Chronology of the New Testament,” in Eerdmans Dictionary of the Bible, ed. David Noel Freedman (Grand Rapids, MI: Wm. B. Eerdmans, 2000), 249–250. For a reconciliation favoring the 14th of Nisan, see Chadwick, “Dating the Death of Jesus Christ,” 165–172. For a reconciliation favoring the 15th of Nisan, see Craig L. Blomberg, The Historical Reliability of Gospels, 2nd edition (Downers Grove, IL: InterVarsity Press, 2007), 221–225. On the timing of Pilate’s governorship, see Emily Cheney, “Pilate, Pontius,” in Eerdmans Dictionary, 1058. 3.Chadwick, “Dating the Death of Jesus Christ,” 156, see also the chart on p. 157. Porter, “Chronology of the New Testament,” 250 adds AD 36, but also determines that “27 is too early and 36 too late” to work with other factors. Blumell and Wayment, “When was Jesus Born?” 64–70 expands the range of possible dates based on the possibility of misidentifying the new moon. Chadwick, “Dating the Death of Jesus Christ,” 158–165 responds to this argument. Randall P. Spackman, “Introduction to Book of Mormon Chronology: The Principal Prophecies, Calendars, and Dates,” (FARMS Preliminary Reports, 1993), 60–68, plus appendix 2, argued that the Book of Mormon supports a death date in AD 29, but this date has little support from New Testament scholars. 5.Porter, “Chronology of the New Testament,” 250. See, for example, Paul Barnett, Jesus and the Rise of Early Christianity: A History of New Testament Times (Downers Grover, IL: InterVarsity Press, 1999), 155. 6.See Book of Mormon Central, “How Does the Book of Mormon Help Date the First Christmas? (3 Nephi 1:13),” KnoWhy 255 (December 21, 2016). See also Jeffrey R. Chadwick, “Dating the Birth of Jesus Christ,” BYU Studies 49, no. 4 (2010): 17–18; Chadwick, “Dating the Death of Jesus Christ,” 142–149. 7.Chadwick, “Dating the Death of Jesus Christ,” 190. 8.Representing this traditional view and forcefully rejecting the Thursday argument are Blumell and Wayment, “When was Jesus Born?” 65–66, 78–79 nn.51–57. For a response, see Chadwick, “Dating the Death of Jesus Christ,” 176–177, 179–180 n.108. 9.See Chadwick, “Dating the Death of Jesus Christ,” 172. David B. Cummings, “Three Days and Three Nights: Reassessing Jesus’s Entombment,” Journal of Book of Mormon Studies 16, no. 1 (2007): 58 also mentions “advocates of Wednesday” as the day of Christ’s death. 10.See Chadwick, “Dating the Death of Jesus Christ,” 174–177; Cummings, “Three Days and Three Nights,” 59. 11.See Chadwick, “Dating the Death of Jesus Christ,” 177–182. 12.Chadwick, “Dating the Death of Jesus Christ,” 138; Cummings, “Three Days and Three Nights,” 60. 13.There is uncertainty on whether the new moon would have been observed on the correct day in AD 30, making it possible that the 14th of Nisan (the day before Passover, and most likely day of crucifixion) was on Thursday (the correct day), or Friday (if the new moon was observed a day late). This would make the 15th of Nisan (the first day of Passover) either Friday (the correct day), or Saturday (if the new moon was observed a day late). See Chadwick, “Dating the Death of Jesus Christ,” 154–158. Since most scholars favor an AD 30 date and a Friday for the day of crucifixion, they assume the new moon was not observed on the correct day, and that the 14th of Nisan was thus a day late, on Friday. Chadwick’s position—that AD 30 is the year, and thus Christ’s death happened on a Thursday (the correct day for the 14th of Nisan)—seems more consistent. In fact, Blomberg, Historicity of the Gospels, 221–225 favors AD 30 precisely because it is the only year the 15th of Nisan fell on Friday and, unlike most New Testament scholars, he favors the Synoptics’ chronology (Christ dying on the first day of Passover) over that of John’s. 14.Cummings, “Three Days and Three Nights,” 63, cf. pp. 60–63; Chadwick, “Dating the Death of Jesus Christ,” 182–188. 15.Chadwick, “Dating the Death of Jesus Christ,” 184, cf. the charts on pp. 186–187. See also figs. 1 and 2 in Cummings, “Three Days and Three Nights,” 62–63. 16.Chadwick, “Dating the Death of Jesus Christ,” 190, capitalization altered. 17.Chadwick, “Dating the Death of Jesus Christ,” 136. 18.Thomas S. Monson, “He Is Risen,” Ensign, May 2010, 89, online at lds.org. 19.Gordon B. Hinckley, “This Glorious Eastern Morn,” Ensign, May 1996, online at lds.org. 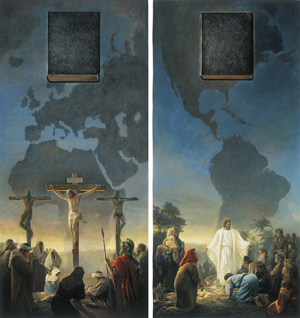 20.“The Living Christ: The Testimony of the Apostles,” Ensign, April 2000, online at lds.org, emphasis added. The Book of Mormon should be the first resource to determine the timing of the crucifixion and resurrection because it has an eyewitness who is dedicated to getting the timing precise. 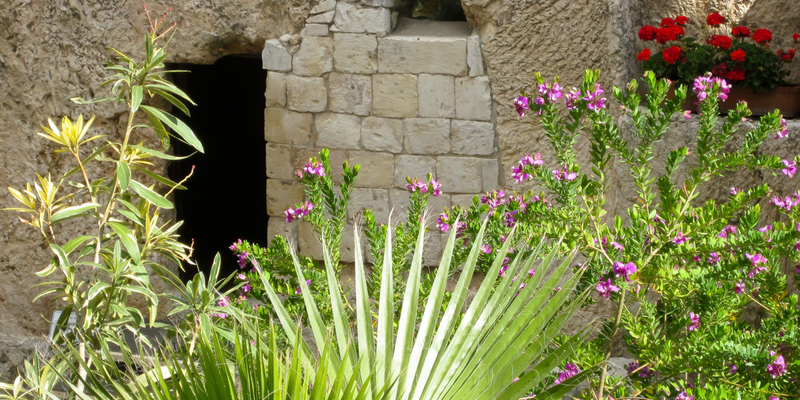 The Book of Mormon is absolutely clear that Christ was in the tomb for close to 72 hours. The book demonstrates that Christ is allowing the Law of Moses to be the schoolmaster to bring the Jews to their messiah. That is also one of the reasons the Book of Mormon exists and the Mormons will not be prepared to engage the Jews until the Mormons understand what Nephi (3) is testifying to. Christ is the anti-type to the prototype of the first paschal lamb. 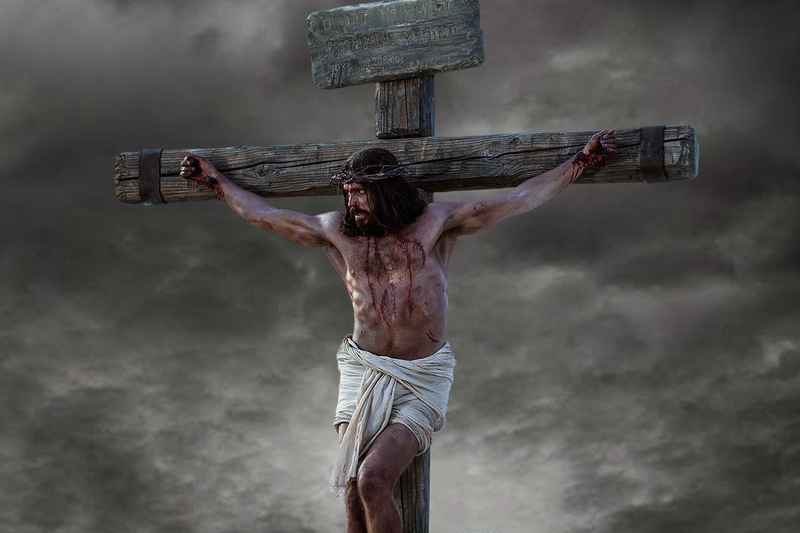 Unfortunately almost everyone seems to think that the moon is the final arbiter for when Christ was crucified. That is wrong: errors were sometimes made by the Sanhedrin. The moon was used by the Sanhedrin used to determine the timing of the month of Nisan. What the New Testament tells us is that those people controlling the calendar timing were corrupt and conspiring to kill Christ. They had some leeway to ‘tweak’ the calendar to give them an opportunity to set a trap to capture Christ. You can believe me or not but study the Book of Mormon and believe Nephi(3). Christ was not crucified in 30 AD and he died on a Wednesday (midst of the week) to fulfil the prophecy of Daniel 9:27. Compare this to 3 Nephi 9:19 where in his first words to the Nephites after his entombment he effectively announces the fulfilment of Daniel’s prophecy. I'm firmly in the Thursday crucifixion support group. As a Jewish convert, researcher and author (Days of Awe), I've also relied on the findings of the Center for Nazarine Judaism. This group of modern Jews lives an orthodox Jewish lifestyle and believes that Y'shua is the Messiah. Their findings show no Friday night/ Saturday Passovers in the 20 years surrounding Christ's death. So we have that in addition to the Book of Mormon supports.